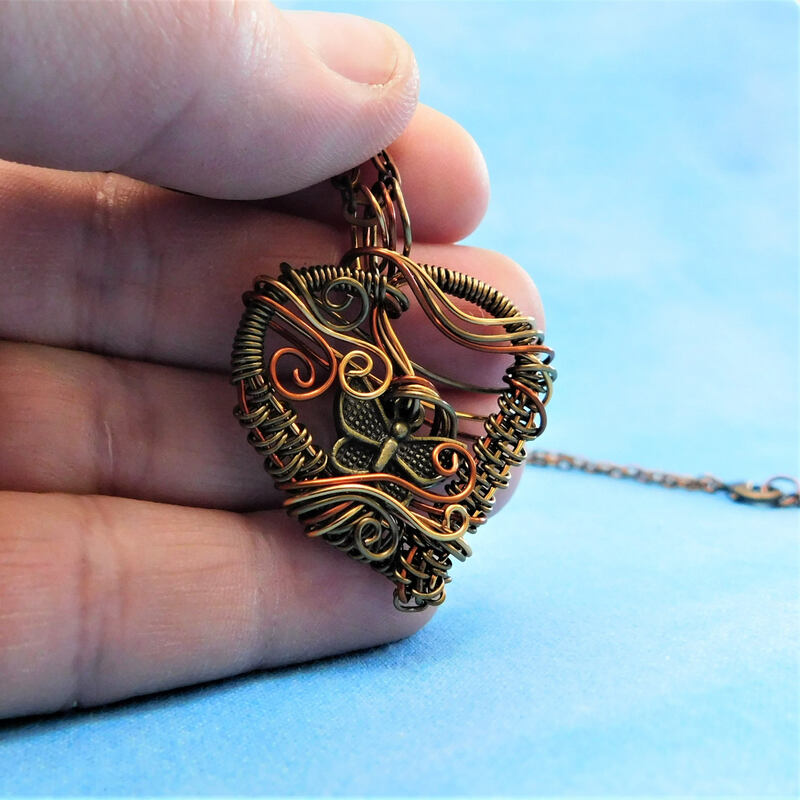 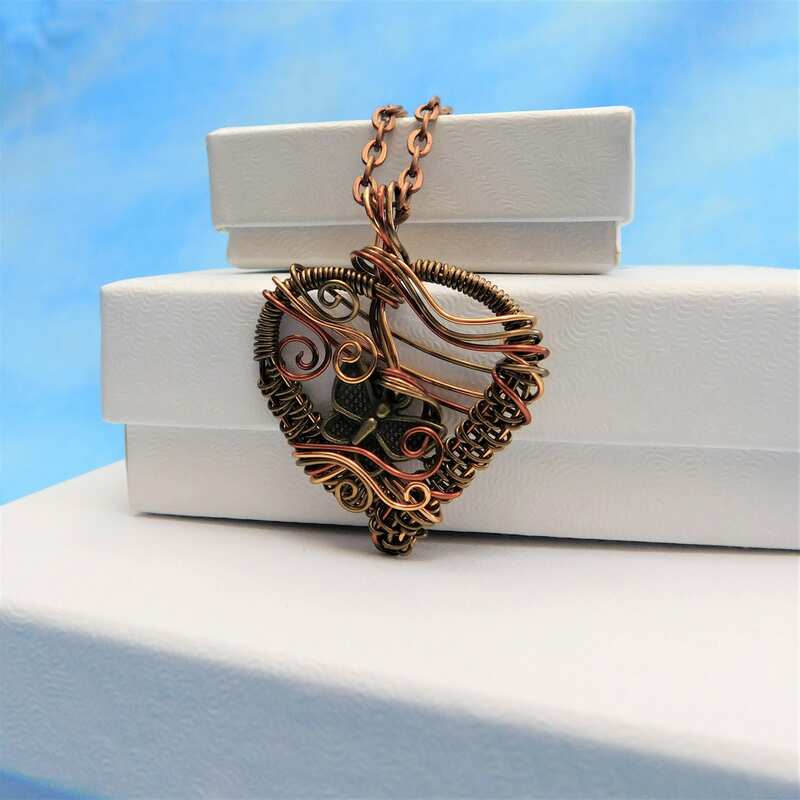 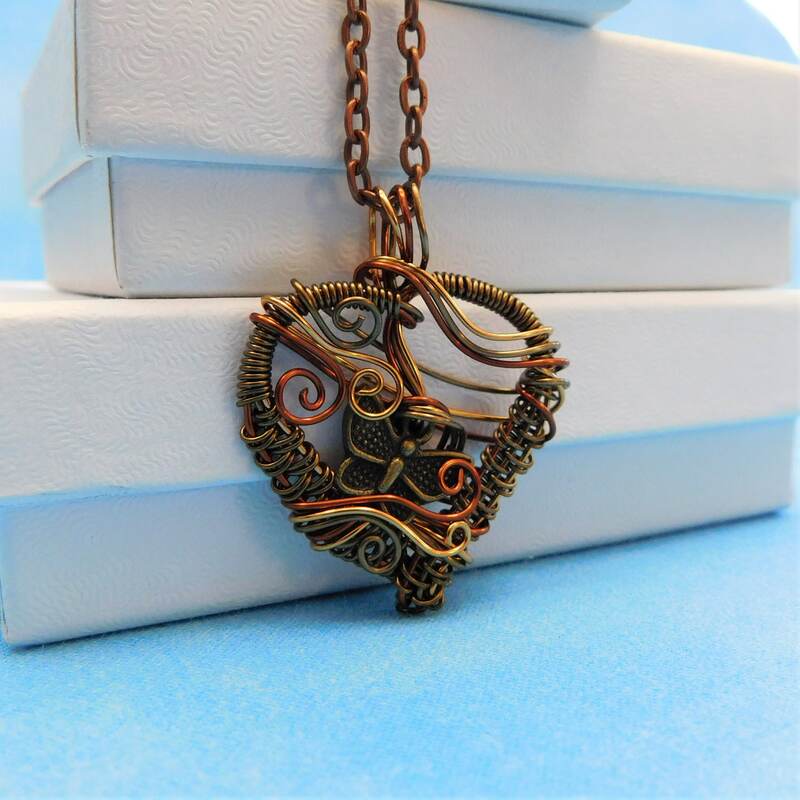 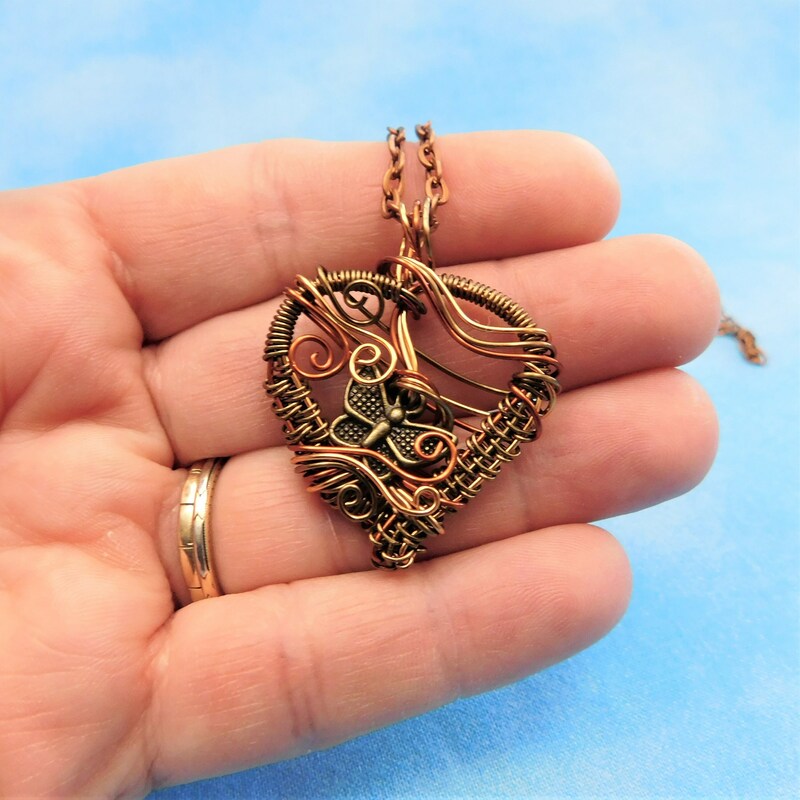 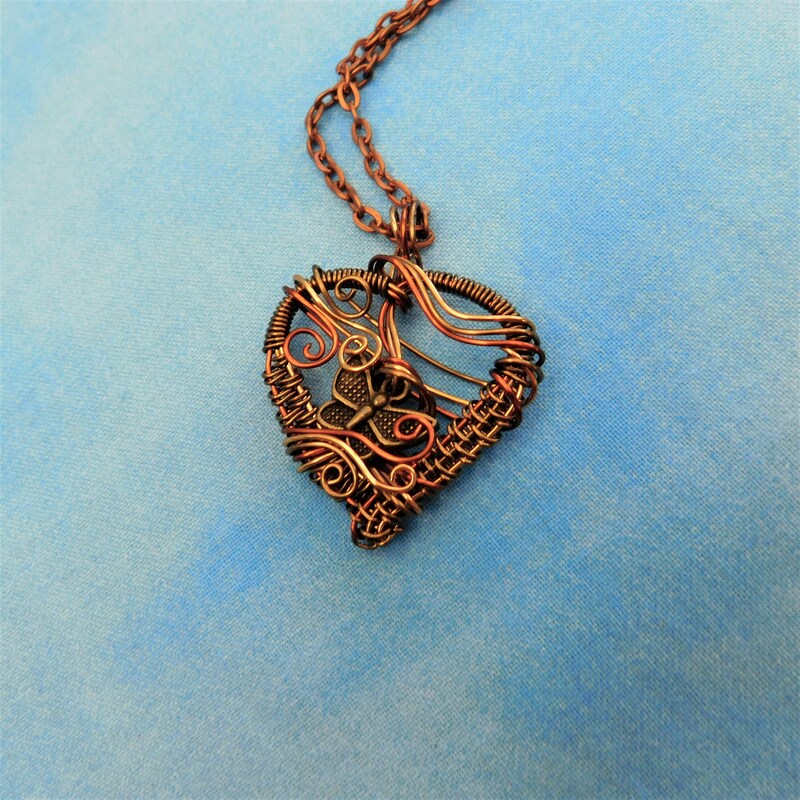 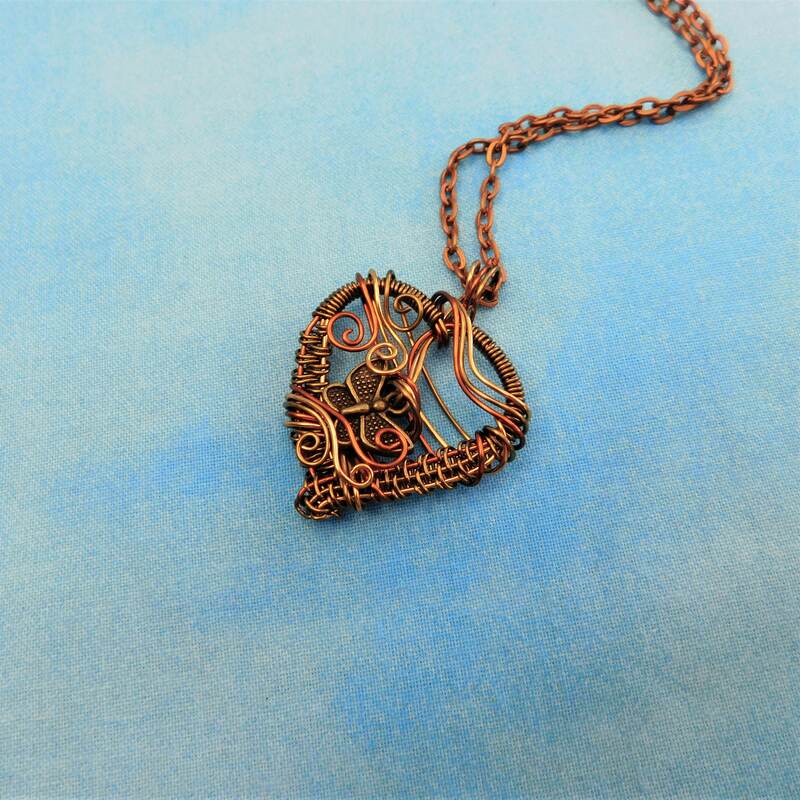 A tiny copper Butterfly peeks through sculpted wire vines in a hand woven multi-tone, non tarnish, copper wire heart frame. 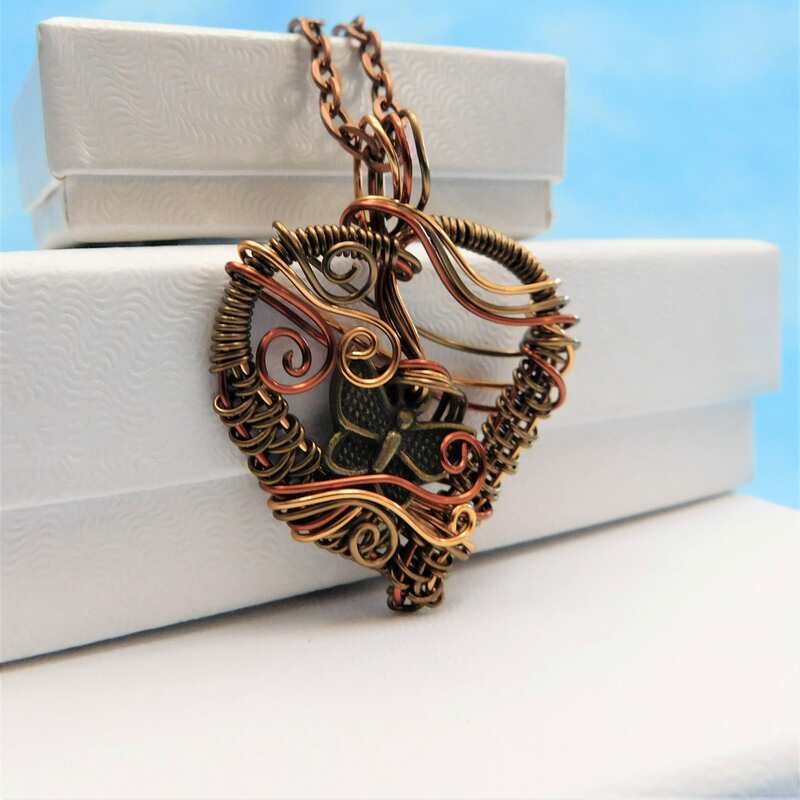 Butterflies symbolize freedom, beauty, or the memory of a loved one who is dearly missed. 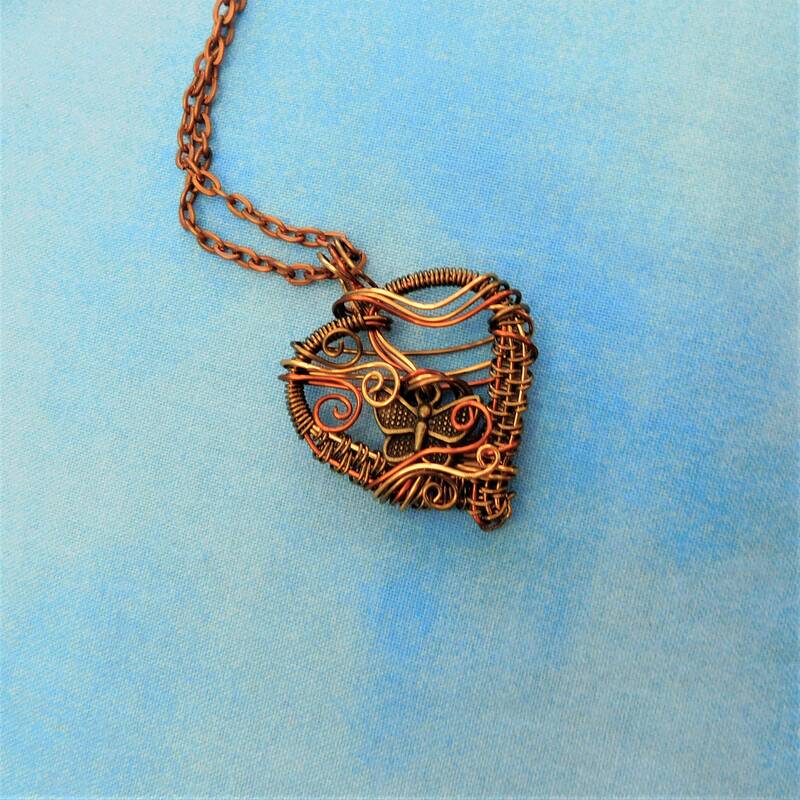 The shape of the heart carries profound meaning and is universally associated with the many forms of love that humans can possess. 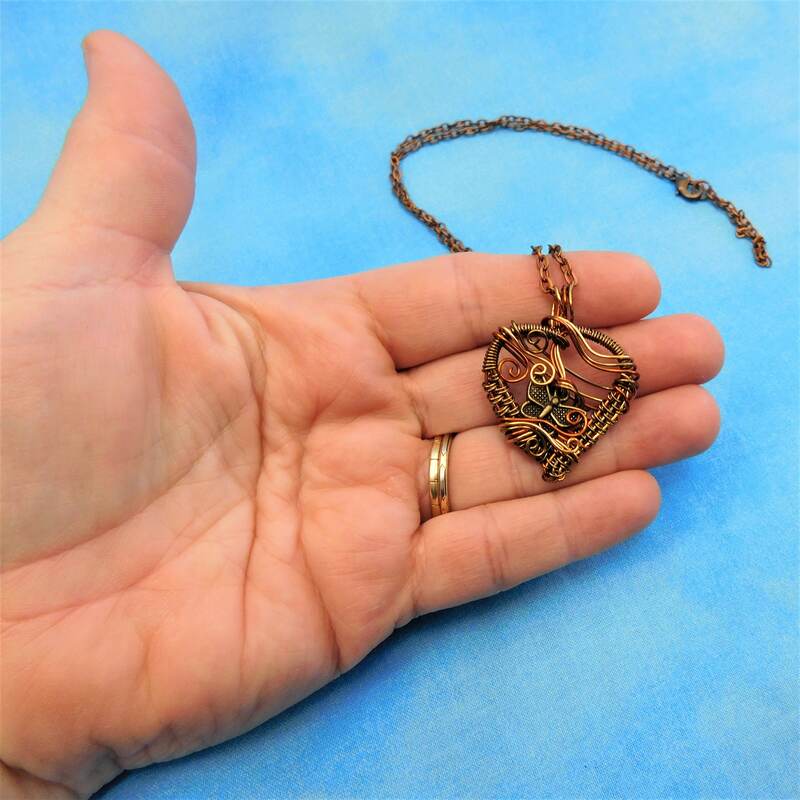 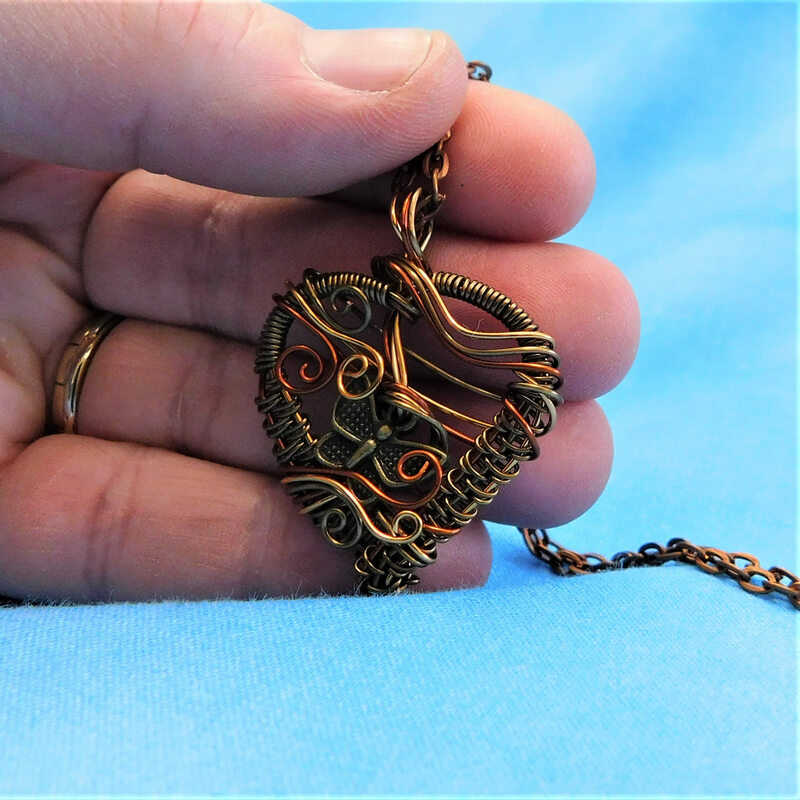 The heart measures 1 1/4 inch by 1 1/4 inch and comes with a FREE coordinating chain with lobster claw clasp, measured to your preferred length.